If you haven’t caught up with it yet, “The Hour” is halfway over. The fourth of six hour-long episodes will play on BBC America on Wednesday, September 7th. But don’t be disheartened. You don’t want to watch it in its original transmission because it is stretched out to 90 minutes with some especially egregious commercials. If you wait a day, you can pick it up on Exfiniti “on demand” without the commercials. Start now and you can catch up on the first three episodes, and get in training for the most complex and absorbing story playing on film (and in English) at the moment. This is narrative, character, and intrigue such as have gone out of fashion. The show is set in London in 1956 (a choice that has prompted comparisons with “Mad Men” that seem to me wishful thinking on the part of American critics). “The Hour” is a new BBC television news commentary program and it depends on three people: Bel Rowley (Romola Garai), the producer, talented, beautiful but deeply unresolved; Freddie Lyon (Ben Wishaw), her old friend, who wanted a bigger job but is content to be her assistant; and Hector Madden (Dominic West), a handsome Tory brute of the old school with the charisma to be the show’s on-camera face and to move Bel. Hector has a nasty social climbing wife; Freddie has an old Dad who is falling apart; and Bel has a Mum who leads a scarlet life and thinks her daughter is prim. In other words, their lives are embedded in the restrictive class and gender layering that existed Britain in 1956. These three characters are trying to put on a new kind of television show, which is all the more perilous because of the approaching crisis in Suez. I don’t know how many British viewers know that incident by heart more than fifty years later, but it’s certain that American viewers need a little help—and just as clear that this program is unwilling to spell it out. In July 1956, the new Egyptian president Gamal Abdel Nasser nationalized the Suez Canal, which had been an Anglo-French construction and business enterprise. At the same time, Nasser was tormenting the great powers by voicing sympathy for the Soviet Union and China. In Britain, he was also dismissed as a treacherous Arab and the leader of an upstart “wog” movement. So, in collusion, Britain, France, and Israel undertook an invasion of Egypt—people were killed (about 3,500)—that would reclaim the Canal and restore it to efficient management (not that the Egyptians had seemed unable to keep it functioning). In Britain, this shameful adventure led to the downfall of the Anthony Eden government, and an alarming breach with the United States—for it was pressure from President Eisenhower that ended the invasion. As the crisis builds, “The Hour” seeks to cover Egypt and its background, and that’s how our three protagonists find themselves caught between BBC caution, government anxiety, and the close attention of the secret service. I won’t spoil the detail, except to say that the public crisis, the broadcasting decision, and the private intrigues are intricately tied together so that the show becomes a full portrait of many degrees of British privilege, mendacity, and fear. You feel it is about the whole world, though the show does not bother to underline the way Egypt’s instability and rash foreign adventures are still with us. You have to work hard with “The Hour”: with codes and ciphers; an artful way of cross-cutting different scenes in a visual sensibility that is rare on television; and with the British confidence that most things people say are cut off and muttered out of the corner of the mouth. Still, after three episodes I can tell you that this is outstanding entertainment and, for anyone who was there, a fascinating examination of what Britain was really like in the 50s. The show is not expensive, but the clothes, the colors (or the lack thereof) and the props make you greedy for more. “The Hour” was created and all its episodes are written by Abi Morgan, a playwright, the screenwriter of several TV pieces and the Sarah Gavron movie Brick Lane, and the author of the forthcoming The Iron Lady (in which Meryl Streep will play Margaret Thatcher). The writing on “The Hour” is surely the basis of its power and daring. There are three directors—Harry Bradbeer, Coky Giedroyc, and Jamie Payne—and I have only praise for camera-work that is often as fluent as that in the great noir movies of the 40s. Then there is the cast, though I am deliberately restrained about these characters because the show has taught us to be ready for surprises. Romola Garai is very good as the woman in a man’s world, anxious to do her job, and aware of being patronized. Dominic West is ideal as the one-time stick-in-the-mud who feels the ground and life slipping away beneath his feet. 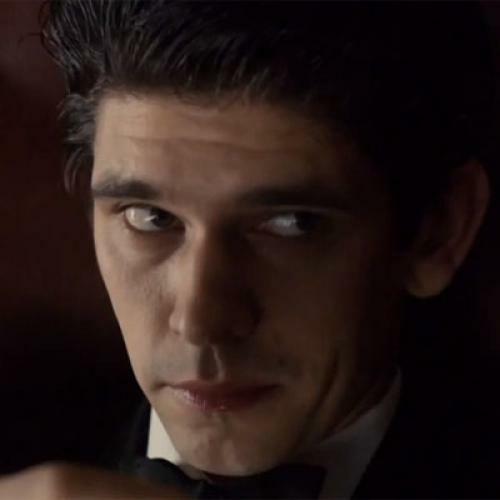 Then there is Ben Whishaw as Freddie—he was Keats in Bright Star and Sebastian in the lamentable remake of Brideshead Revisited. Whishaw is one of the most compelling faces in film now, and not only because, by so many conventional tests, he might be thought uncastable. He is the engine of investigative intelligence in the story, but a very insecure fellow. He is also a guide to the inner mood of paranoia and suspicion, in that you have to watch him every second. There’s much more: Anton Lesser as a high-up at the BBC and maybe more, and Burn Gorman, baby-faced but like the live rail in the underground, as the mysterious and spooky “Mr Kish.” Beyond that, I note that Juliette Stevenson and Tim Pigott-Smith have had small but unforgettable roles so far—I bet there’s more coming. I can’t spoil the end of the story, because I don’t know it, and I don’t think it’s predictable from any of the rigid movie genres that still operated in the 50s. So it’s the combination of period verisimilitude and modern relevance that makes “The Hour” what it is and may become in the few weeks. But don’t see it with the ads!